Transportation Committee members who have experience in the industry are the most likely to anticipate issues. This experience can range from Metro Transit, Automotive/Truck sales to Federal, State or local purchasing experience. 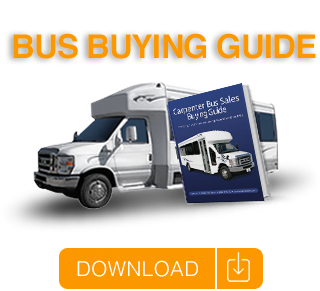 Purchasing a bus for sale is frequently a lengthy process. Interview several bus dealers to determine which have a heart and mind for safe transportation. Ask for, and check with, references. Look for a dealer that asks: what departments (youth, seniors or others…) will be using the vehicle? What is the driver complement like? Is a wheel chair lift needed? What are the seating implications with wheelchair lifts? Mass transportation is a large capital expenditure. Will it be financed locally or handled through a major company? Does the dealer have resources to assist in finding financing? Depreciation is an issue. Does the dealer have a formal way of estimating vehicle values over time? Does the dealer offer a way to try the vehicle for a period of time without purchasing? The bus industry differs from the automotive industry because it does not have a single all-encompassing warranty plan. The chassis, body, rear air conditioner, video and tires all have separate warranties. The dealer should be able to handle or direct youto reputable local service providers. Additionally, each warranty varies in length and mileage. Be sure to get a detailed of each warranty. Today, more and more groups are sensitive to presenting the best possible image to their community. Bus manufacturers offer a wide range of products. Fit, finish and amenities speak volumes. Seating ranges from vinyl to leather with fabrics offered in six levels. “Side sliders” (an option that allows the aisle seat to move 2 inches toward the center) create additional hip and shoulder room. Footrests and overhead storage are frequently requested. Lap trays, book or magazine storage and beverage holders are offered as well. Rear luggage compartments and under floor storage compartments are popular options. Companies are concerned about passenger comfort. New advances in ride improvement are a regular part of shuttle vehicles regardless of size. While commercial buses are acceptable for most settings, schools may have to meet different requirements (Type “A” school buses). Dealers should be able to advise as to requirements and solutions. Average shuttle vehicle life is eight to ten years. Shuttle vehicles are reputed to be the least serviced vehicles in the nation. Confirming and maintaining an ongoing commitment to maintaining regular safety and service checks is a critical part of ministry transportation. Where will the vehicle be parked? An oversize garage, barn or shed can improve appearance and trade-in value in years to come. Tire condition and maintenance are critical to dependability and safety. Over the last several years, two sizes have dominated the shuttle transportation market. The 15 and 26 passenger size buses have been the leaders accounting for 60 percent of sales. During the last three years, organizations have increasingly chosen 30+ passenger vehicles. Diesel engines account for less than 10 percent of total sales. Buses that carry 16 passengers (15 passenger + driver) require a Commercial driver’s license (CDL). In California and Pennsylvania this requirement begins with 11-passenger vehicles. What can you expect to invest in purchasing “new” shuttle transportation? Prices range from $45,000 for a basic 15-passenger bus up to $ 400,000 for a 50+ passenger deluxe touring coach. From a practical standpoint, a quality 45- passenger bus in the $125,000 range is available. Include in the estimated costs: insurance, fuel, maintenance, repair, storage and driver training. Insurance companies are willing to share costs with customers who install Driver Cameras. Installing a Global Position Locator makes tracking the progress of your vehicle easy and improves overall safety.